John Churcher Paraclimber: Back To It! After having last week off, the first time for 3 months, jumped straight back to it at the w/e with training session and a climbing session. 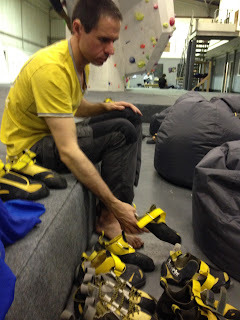 Another good climbing session at Creation Climbing Centre last night.